Turkey season is nearly upon me and I am sitting here still trying to figure out where I want to hunt this year. I have found some great guides on Fin & Field but that still doesn’t help me determine WHERE exactly I want to hunt. So I decided to use trusty ole Google to see what other hunters thought were some of the best states to hunt turkey. Low and behold one of the first things to pop up in my search was a press release from the state of Nebraska where their Governor, Pete Ricketts, just proclaimed Nebraska to be the “Best Turkey Hunting Destination in the United States.” Well, I just had to do a little more research into why Governor Ricketts thinks Nebraska is the best state to hunt turkeys. Here are the five reasons why the Governor and I think hunting turkey this year in Nebraska should be on your to-do list. According to the most recent survey published by the Nebraska Game and Parks Commission (Game and Parks) in 2017 there were 28,352 permits issues for the spring turkey season with a harvest of 18,569. This amounts to a staggering 67.5% success rate for hunters in the Cornhusker state. But this isn’t an anomaly as harvest rates have averaged 64.3% over the last six years. With wild turkey populations located in all of the 93 counties and over 500,000 acres of public and public-access land, Nebraska has its fair share of wild turkey attributing to their high success rates. Make sure to do your homework on what public land is available. In case you want the easy way out Game and Parks has helped you by providing a trip planner, just remember everyone else has easy access to this as well. Not only does Nebraska boast a high success rate in bagging a turkey they also have an above average bag limit for bearded turkeys. Game and Parks offers three over the counter permits to hunters during the spring season and an additional two permits for the fall season for a total of five permits! Each permit must be purchased separately at any Game and Parks permitting office, online or by mail. Since 2015 they have also been offering hunters access to mobile permits which can be purchased from a mobile device as well as used in the field as your actual permit. They have even taken it a step further to allow you to submit your harvest via the mobile permit. Make sure you bring plenty of ammo and a cell phone charger! With up to five permits available it can seem a bit pricey for out-of-state hunters as the fees add up quickly. But in all reality the $109 non-resident permit fee is a bargain. A habitat stamp is also required which is only an additional $25. Where else could you spend less than $360 for a chance to bring home three turkey in the spring? Not many other places. 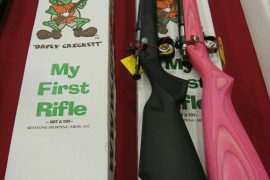 If you have children under the age of 16 the deals keep on coming. Eligible youth permit fees are only $8 each; yes you read that right $8 each. They still do require the $25 habitat stamp, so for less than $50 your son or daughter could have a chance at bagging three turkeys as well. If they are 11 or under they also do not require hunter safety education (although I would strongly recommend it) and there is NO MINIMUM AGE. Make sure you bring plenty of coolers for you and your kid because you are going to have a blast; literally! Typical spring turkey season usually runs from sometime in April through May depending on your state. This means you’ve got between four to six weeks available to chase that tom. 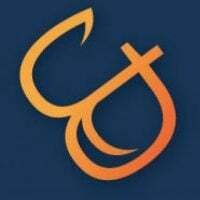 But in Nebraska they offer an early archery season that starts towards the end of March effectively extending your days in the field by two weeks or more. When you factor in the fall season, which runs from the middle of September all the way until the end of January, you can hunt nearly half the entire year for turkey if you wanted to! Now for the out-of-state hunter this means you can plan a turkey hunt for almost any time you want fall, winter or spring. Make sure you bring a good pair of hiking boots for all those days of hunting. Yes I know I just told you that hunting turkey in Nebraska is affordable and it truly is. But this half a Grand isn’t talking about money. No, this refers to what the National Wild Turkey Federation calls a Grand Slam; harvesting one of each of the four available sub-species of turkey in the U.S. (Eastern, Merriam’s, Osceola and Rio Grande). Nebraska is currently home to both Eastern and Merriam’s turkeys and at one time was believed to be home to Rio Grande turkeys as well. One word of caution though. 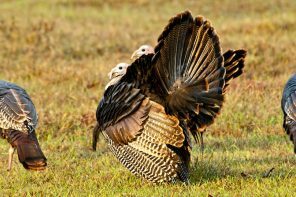 Due to the reintroduction of the wild turkey in Nebraska as well as the overlapping habitat some turkey have become hybridized. Make sure to have your turkeys properly identified by a biologist, if you are truly in search of half of that Grand Slam in one hunt, to ensure you’ve tagged a true Eastern and Merriam’s. As you are preparing for turkey season this year don’t forget these five tips to help make for a successful harvest. For more information about turkey hunting in the Cornhusker state check out nebraskaturkeyhunt.com or one of the three Fin & Field guides below. Prepare for Turkey Season with these 5 Tips!